These days bed bugs are a common pest, frequently prevalent due to the increased travel, globally from country to country. Bristol Bed bugs regularly occur in buildings with multi-occupancy where people are coming and going on a regular basis. Hostels, hotels, guest houses, backpackers are prime places for bed bugs to hitch a ride on your clothes or luggage. The early stages of a bed bug (the nymphs) are so small and translucent in colour they go undetected making it impossible to identify an infestation until they start biting. Bed bug infestations are attracted to the carbon dioxide we exhale in our breath making it easy for them to locate the ‘hosts’ exposed skin. Fully-grown bed bugs resemble a small brown shield 5-6mm in length. They are flat and oval in shape with the ability to climb vertical surfaces like walls, table legs and furniture. Bed bugs will lay elongated eggs within the cracks and crevices of bedroom furniture like: the bed frame, mattress, headboard, bedside tables & chest of draws. They position their eggs close to the ‘host’ where the young nymphs can emerge and easily feed on its victim. They also like to transit and lay eggs on clothes and luggage so regular washing of all clothes and linens is essential for the complete elimination of an infestation. 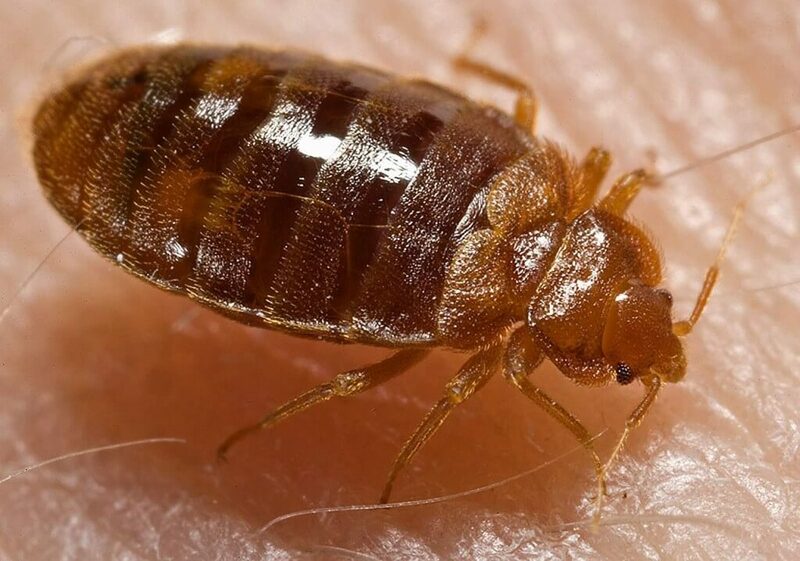 Bed bugs in the Bristol area are extremely resilient to insecticides and build up resistances against products available to the general public. Good news! The Bristol Pest Controller provides complete guaranteed elimination of bed bugs using some of the most sophisticated treatments known to the pest control industry.